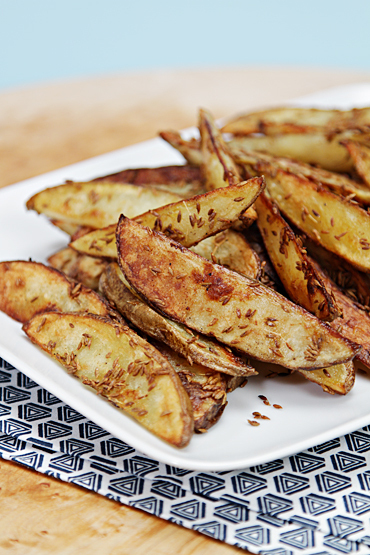 “Bake oven fries with cumin seeds and these spuds are not just good, they’re sublime,”Vivane Bauquet Farre, the creative force behind the food e-magazine foodandstyle.com, says of the recipe she created. The spuds are baked in a 475 degrees Fahrenheit oven, covered with foil for part of the time before they’re turned and baked uncovered until golden brown. Total baking time: around 30-35 minutes.